Mescal Security Vehicles is one of the most trusted and reliable elite suppliers of armored vehicles. We earned that reputation by presenting the finest armoring technology. We dedicate ourselves to deliver the best armoring solutions for our clients. Our technicians comprehend special care of the luxurious interiors and components of the vehicle. Remarkably so that the customer can enjoy the same comfort offered by the stock vehicle. Mezcal has grown substantially and has become one of the most technologically advanced armored vehicle manufacturers. Mezcal has qualified engineers who venture to immaculate their craftsmanship. The Mezcal production facilities allow the teams of highly skilled engineers and technicians to convert any vehicle platform into a fully re-engineered protective armored vehicle. 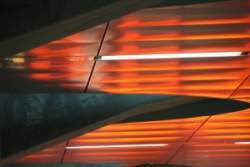 We offer distinct levels of armoring Protection levels. You can choose from any of the armoring levels, namely B4, B6, and B7. Additionally, Each of the standard levels can be customized according to the proffesional requirements of the client. Mezcal produces a large variety of Luxury, Operational SUVs, cars, Police and Law Enforcement, Pickups, Trucks, Ambulances, Armored Personnel Carriers, Buses and Cash-in-Transit vehicles, that are designed to provide effective protection in high-risk situations. 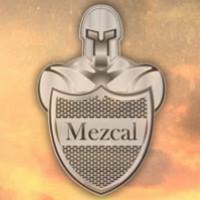 Mezcal Priding itself on armoring vehicles properly with one thing in mind and that is to protect the people inside the vehicle. Choosing Class-leading raw materials for both opaque and transparent areas guaranty a supreme feeling in terms of safety for customers, even in militaristic environments. And we carefully execute the upgradation of brakes and suspensions in order to match the original stock attributes. Quality Control examines each part of the vehicle for defectsand improvements. We document each process at Mezcal Security Vehicles and record it for future references and to guarantee our clients that they are getting the best in the business. As I assured you that you would get the best for the price you pay, we regard our customer’s interest as our highest responsibility. Hence, we complete our work before schedule and deliver a flawless solution. Customer satisfaction is our foremost aspiration. Feedbacks from customers are valuable and we collect it and profit from it from time to time. We hope to have a long-term mutually beneficial relationship with your organization soon.